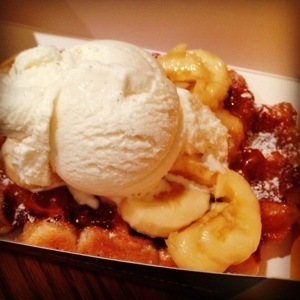 Wafels & Dinges to return to Harlem this coming Tuesday, Jan 22 | HarlemGal Inc. If you missed trying out Belgium waffles this past week in Harlem, there will be another opportunity! Wafels & Dinges is returning to the same spot Jan 22 in Harlem, which is right in front of Best Yet Market on Frederick Douglass Blvd. 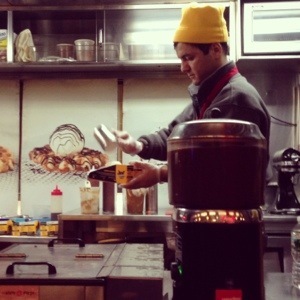 The waffle food truck is returning to Harlem after a successful night of sales this past week! The owner tells HarlemGal Inc that if strong sales continue, the Wafels & Dinges truck will be parked on FDB every Tuesday from now on. To purchase waffles this coming Tuesday in Harlem, walk along FDB between 118th and 119th Street. Wafels & Dinges will be there from 6-10 pm! This entry was posted in food, Frederick Douglass Blvd., Harlem, kids, restaurant row and tagged 10026, Belgian waffles, Food, food truck, Harlem, restaurant row, restaurants, Wafels & Dinges. Bookmark the permalink. Edit. Bookmark the permalink.